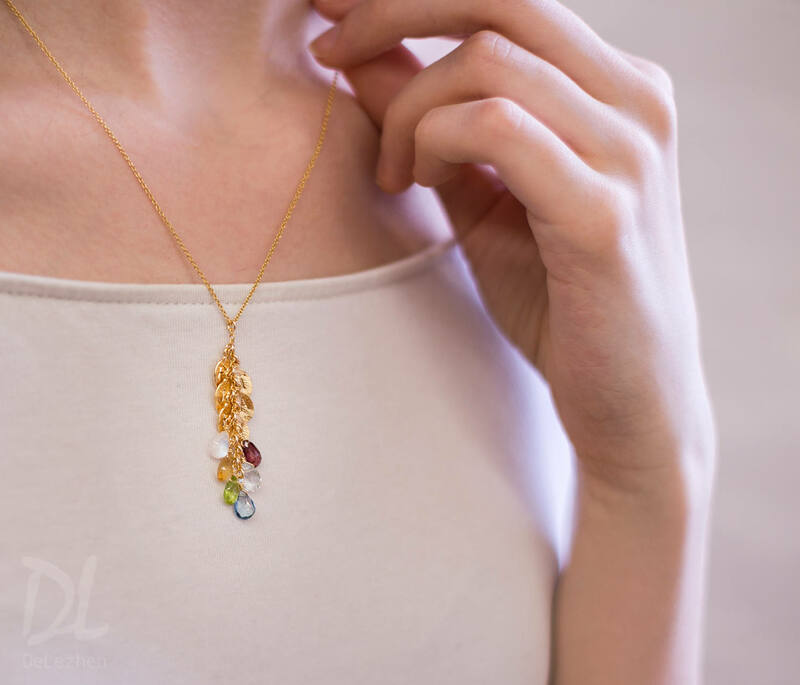 This listing is for a Personalized Birthstone Necklace. 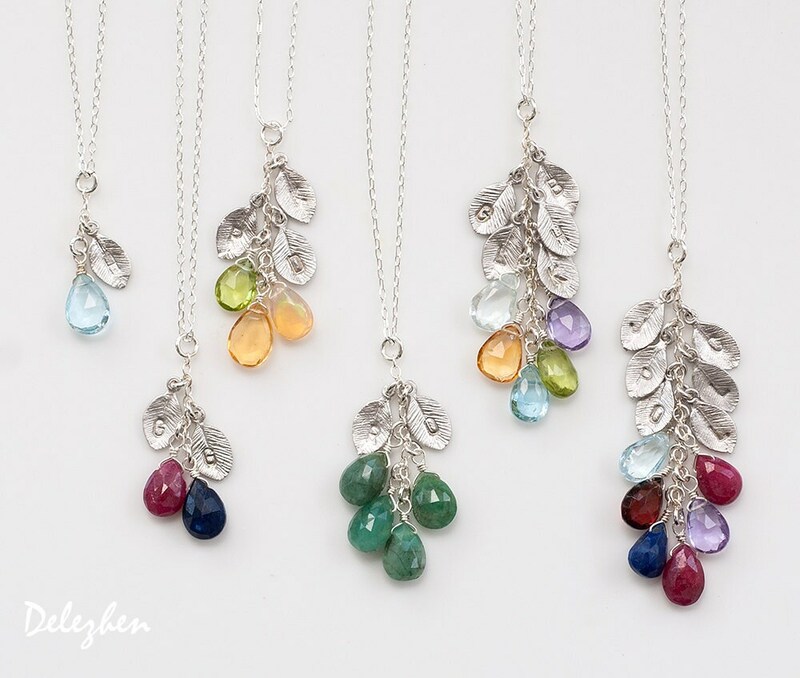 This is an amazing one of a kind personalized hand stamped Birthstone cascade necklace. Everything is customizable. Choice both the number of natural birthstones, letters, and chain. Available in both silver or gold finish. 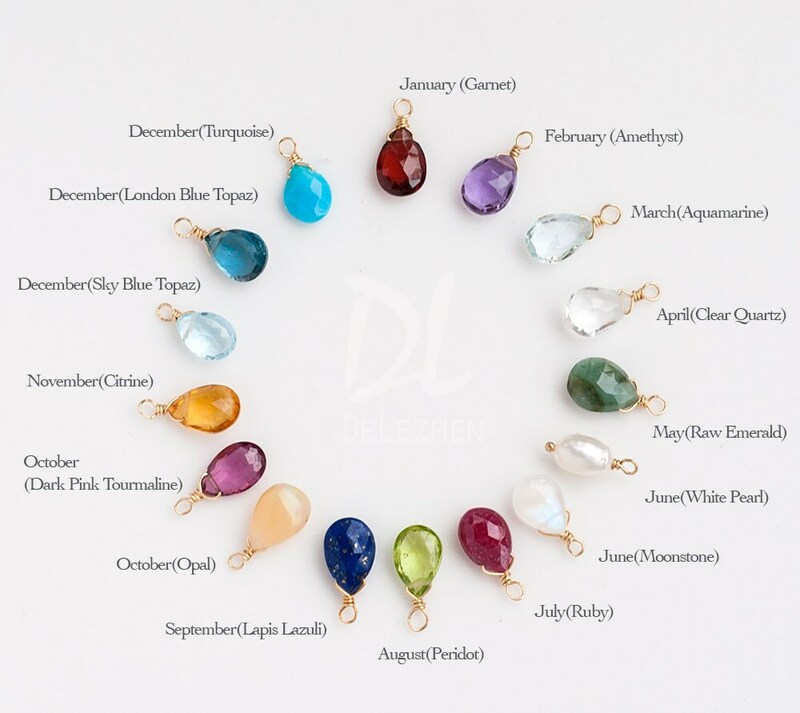 Choose the number of Birthstone you would like from the 1st drop down menu. Choose the metal finish you would like from the 2nd drop down menu. 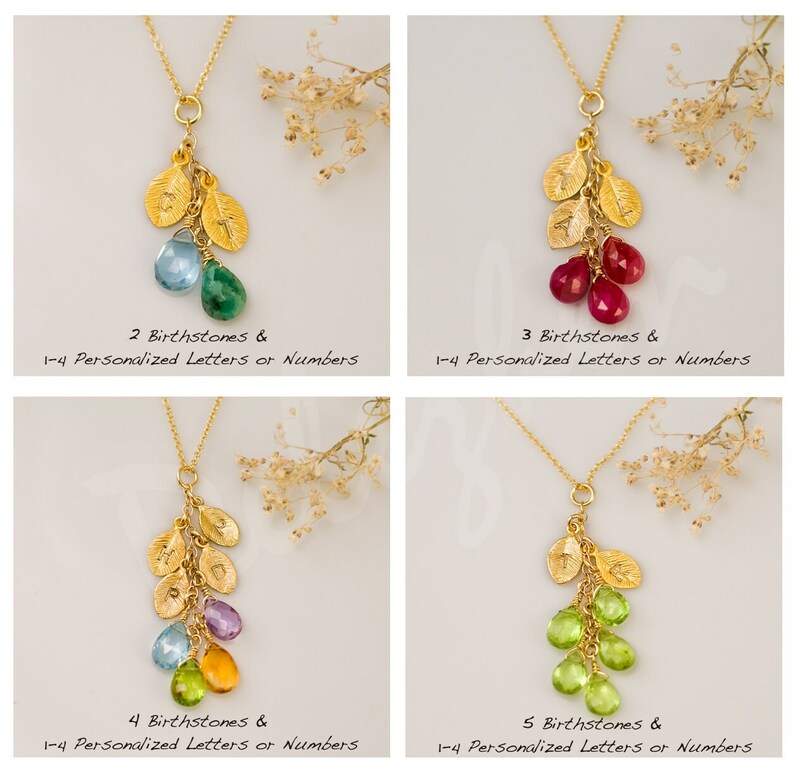 Leave a comment in the note section at checkout with the LETTERS and BIRTHSTONE you would like on the necklace. 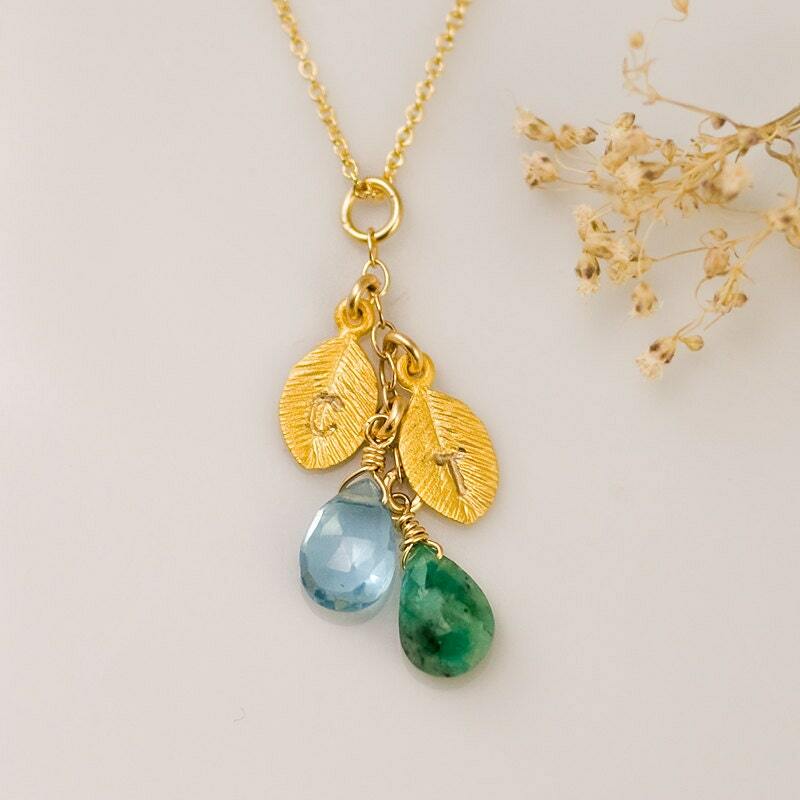 1 personalized leaves is included with each birthstone. Leave a comment in the note section at checkout with the necklace length you would prefer. Because I use natural stones, the stones may vary slightly in shape, shade and size. Necklace will be shipped wrapped in a Delezhen branded box. This item was a Christmas gift for my momma and she absolutely loved it. It is beautifully crafted and looks just like the pictures! Absolutely impressed! Will order from again! This is a beautiful necklace for the price. My mom will love it!